Lock in a great price for The Koala Den - rated 8 by recent guests. The location is good. 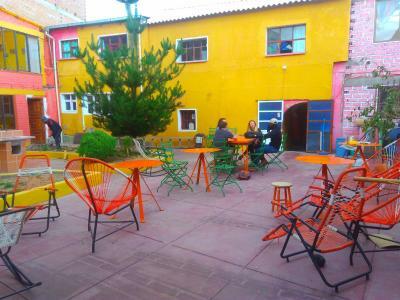 Only two blocks away from the city center and attractions around with cheap and nice restaurants too. But the bus terminal was quite far from the city center. The breakfast was nice with a piece of crepe, a plate of scrambled egg, bread, butter and jam and also fruits other than coffee and tea. The owner, Eduardo is the one who makes the crepe and scrambled egg. 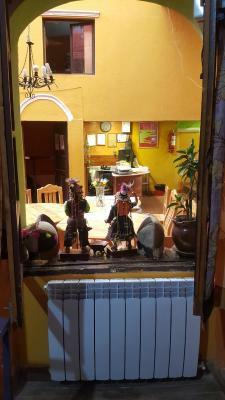 He is also very efficient and friendly to answer and recommend places or restaurants around. We had only 1 power outlet for 5 people because 3 more were malfunction and he fixed it immediately by putting an extension for us. 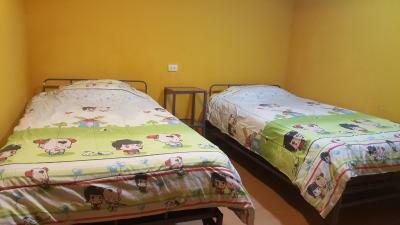 Other than that, the bed is comfy and has thick blanket and also heater because it's cold at night. The hot shower is really good! 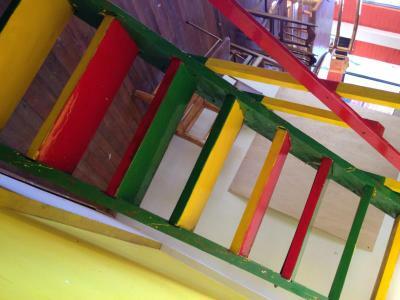 You can also book the mine tour with the hostel and get pickup at the hostel too. 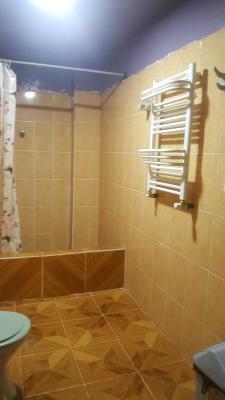 Comfy beds and hot shower! Very attentive host to make sure everything was perfect during our stay. 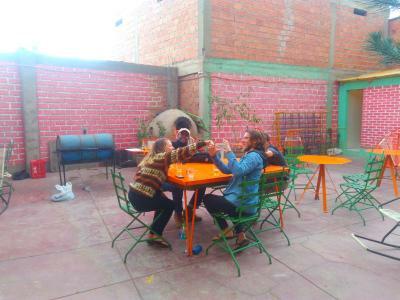 They also made some amazing fresh breakfast and organised our tours and taxi service! Great owner (or manager), very friendly and welcoming! Rooms are basic, but fine. Great breakfast! We arrived at 6am and were allowed into a different room to sleep. Breakfast was good! 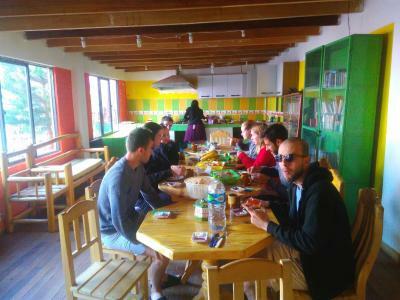 - clean hostel - hot shower - amazing breakfast, definitely the best we had so far. 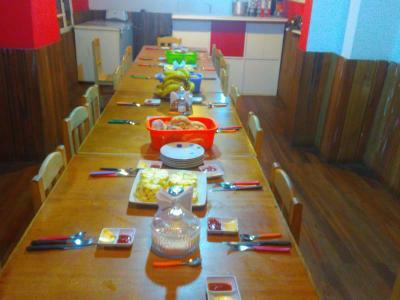 Coffee and tee, bread, a lot of fruits, pancakes, scrambled eggs and a lot more. Nothing to complain. 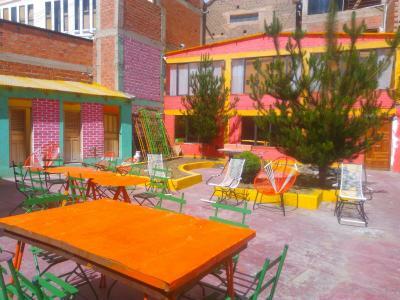 - nice location, warm atmosphere - we had booked the night before arrival, but there were problems with the buses, so we could not make it to Potosi in time. No problem for the hostel (even though we could not cancel the booking). They did not charge us a second night. 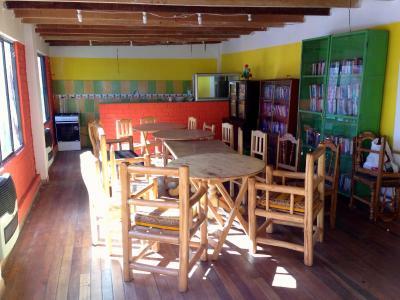 Koala Den Hostel was the perfect hostel for our stay in Potosí, because of the following reasons: - close to the center and safe neighbourhood - great and rich breakfast - possibility to book the mine tour directly there - spacy and clean rooms - friendly staff helping for and questions Thank you very much! Great breakfast with scrambled eggs, fruit, hot drinks. 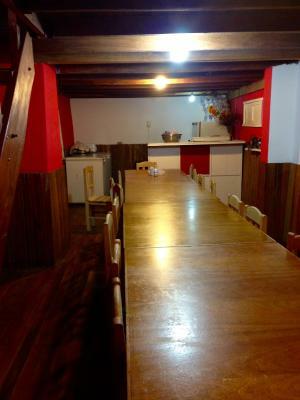 Great location, only a few minutes from the main square. Useful map and some helpful advice from the staff. Comfortable big beds and big bathrooms. Breakfast was amazing!!!!! Everything! It was so warm and cozy. They even have a heating in the room. Great breakfast. Hot shower. 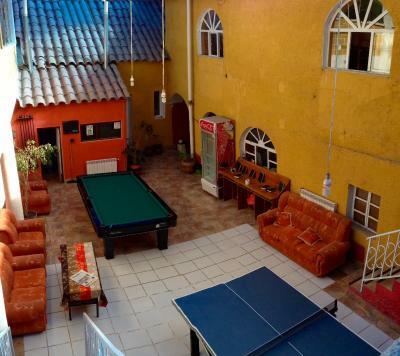 Located in Potosí, less than 0.6 miles from San Bernardo Church, The Koala Den provides accommodation with a garden and a shared lounge. 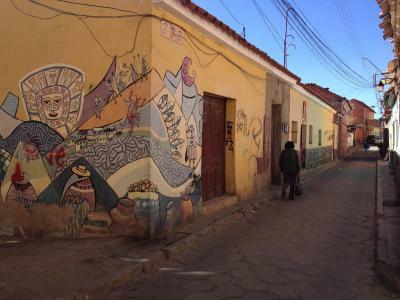 The property is close to several well-known attractions, a 12-minute walk from Cathedral of Potosi, 0.7 miles from Santa Teresa Convent Museum and 0.7 miles from Society of Jesus Tower. Free WiFi is available. 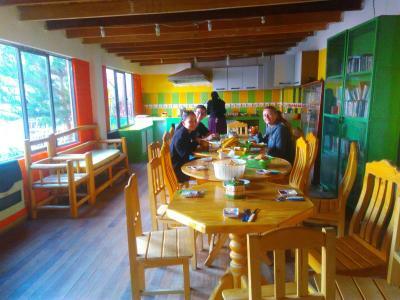 A continental, buffet or vegetarian breakfast can be enjoyed at the property. 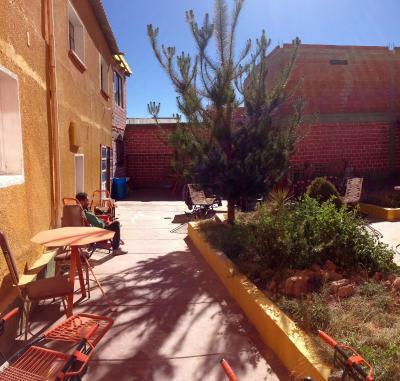 National Mint of Bolivia is 0.7 miles from the hostel. 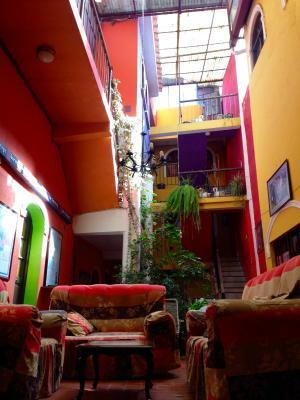 This property is also rated for the best value in Potosí! Guests are getting more for their money when compared to other properties in this city. 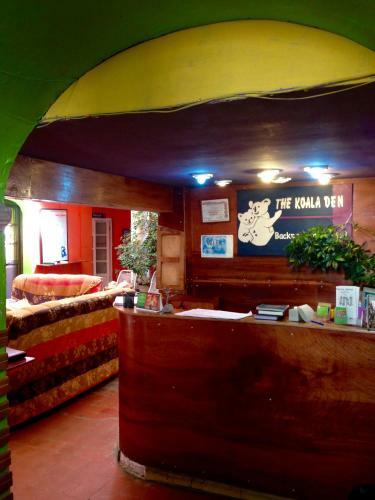 The Koala Den has been welcoming Booking.com guests since 13 Sept 2017. When would you like to stay at The Koala Den? 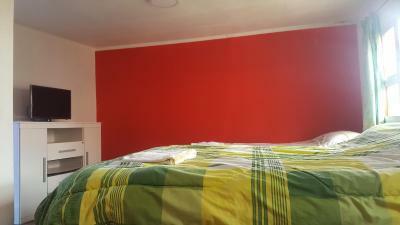 This double room has a private entrance, kitchenware and microwave. 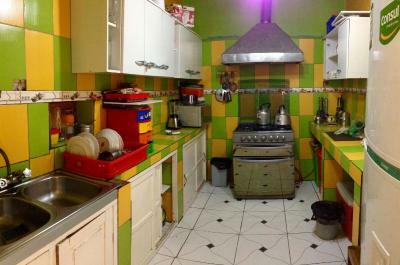 This double room features a kitchenware, private entrance and microwave. 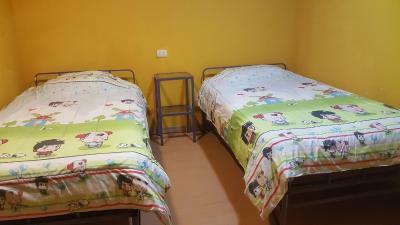 This bed in dormitory has a private entrance, microwave and kitchenware. 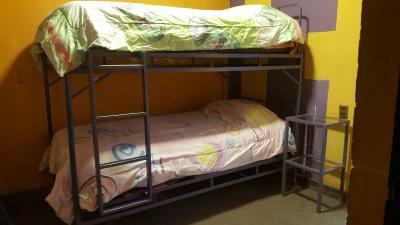 This bed in dormitory features a microwave, kitchenware and private entrance. 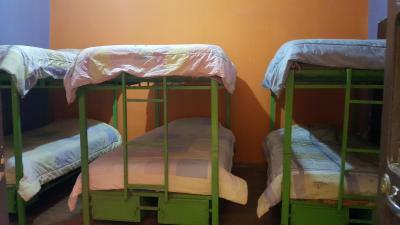 This bed in dormitory has a kitchenware, private entrance and microwave. 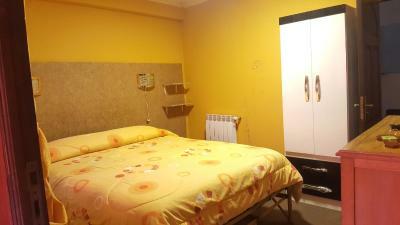 This bed in dormitory features a private entrance, kitchenware and microwave. 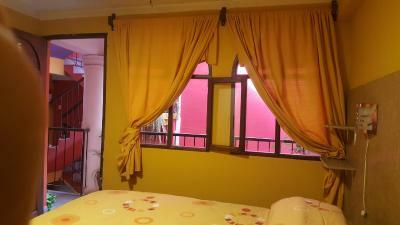 This twin room has a kitchenware, private entrance and microwave. 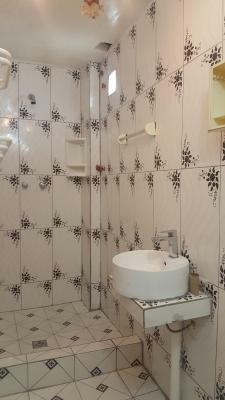 This twin room features a private entrance, kitchenware and microwave. 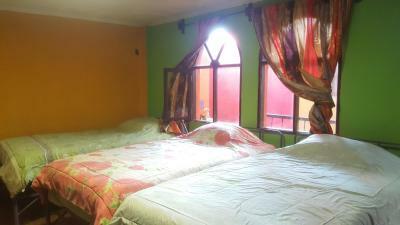 This twin room has a microwave, private entrance and kitchenware. 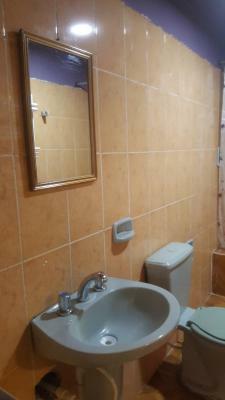 This triple room features a private entrance, microwave and kitchenware. 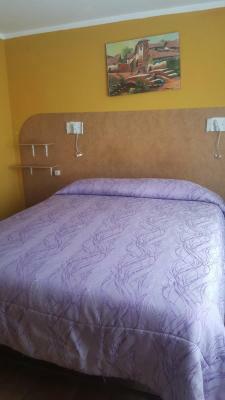 This bed in dormitory has a private entrance, kitchenware and microwave. 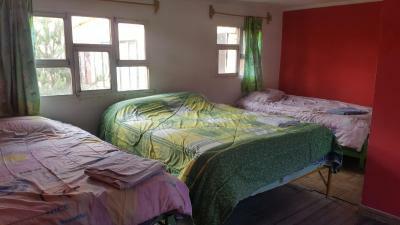 This bed in dormitory has a kitchenware, microwave and private entrance. House rules The Koala Den takes special requests - add in the next step! Not enough staff and the ones that works that has no idea of anything. 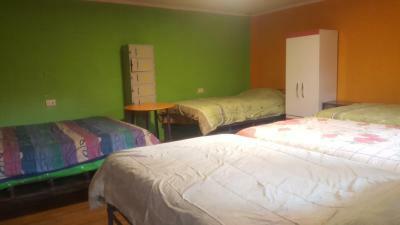 Good location, nice atmosphere and clean rooms. We were put in the annexe across the road. It was empty and the pool table and facilities had dust covers on them. The staff who were suppose to cover reception there were never at the desk. We couldn’t get out for breakfast across the road as the door was locked in the morning. We had to go into the reception and find the front door key ourselves to let ourselves out. Rang the bell but no sign of the staff - still in bed! They should have the front door open once breakfast time starts. We used the reception in the main building to check in and out as they were much better. The owner was a lovely man. Very jolly when making breakfast. We arrived very early off a nightbus and he offered us free breakfast. Breakfast was excellent - lots to eat!!! Best in a while. Booked the tour of the mine there and it was very good. Would recommend it. Small and not most cleaned up room. Good location and nice breakfast! The building was a little rundown and the room we stayed was a little cramped with beds and not spacious for bags to be placed. The roommates we had were horrible. They hanged their wet clothes on the heater and their things were all over the place occupying most of the common area we shared. The room smelled damp and funny because of their damp clothes too. 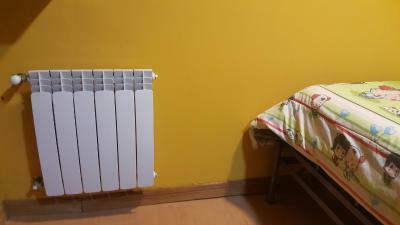 But when the maid came to clean everyday, she did not say anything even though she saw clothes placed on top of the heater. 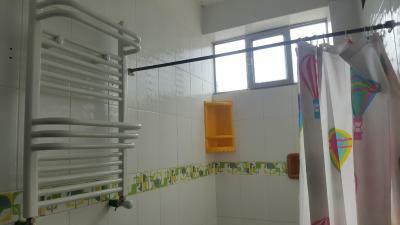 There was no hanger for towels to be hanged, so hopefully the hostel can do something about it. The cleaning staff is really rude. They threw towels on our head (on accident) and did not even apologize! WiFi did not work that great in the room. Fairly minor point but it would have been good to have a curtain in our room!